Resident at Tenelick (Tennalick). Name is transcribed in error as Corroll. Michael was born 20 December 1883 in Tenelick, Co. Longford. Michael's father, Patrick, was an Army pensioner at the time of his birth. 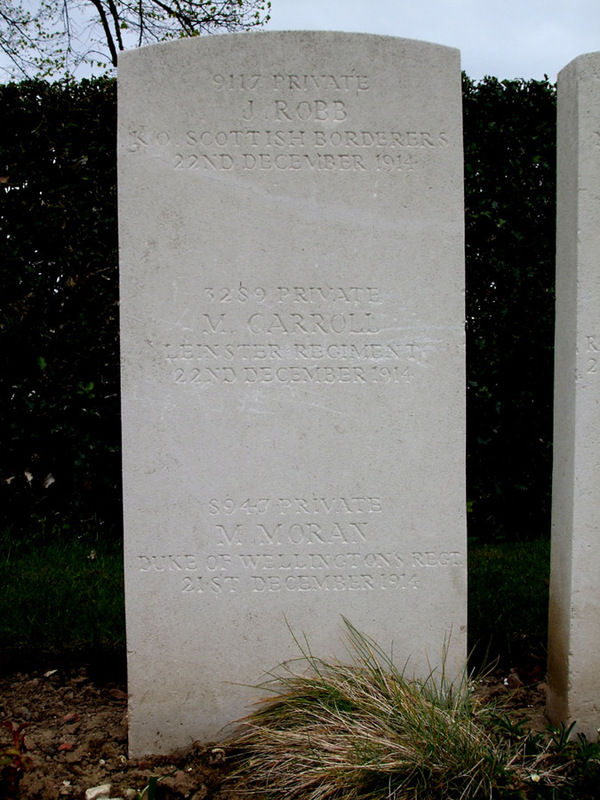 Pte Carroll enlisted in Birr, Co. Offaly, likely before the war or had been part of a Special Reserve which was called-up when war was declared. Prior to joining the army, Michael worked as a farm labourer. In December 1914, the 2nd Leinsters were fighting as part of the 6th Division at Armentieres , where Michael was injured. He later died of his wounds just a few days before Christmas. On that first Christmas day, the regimental diary noted that there was an informal truce held, where men from both sides came out from the trenches and talked together. Michael's mother Mary, as well as his brothers Francis, John and James along with his sisters Anne and Bridget were noted as his next-of-kin. 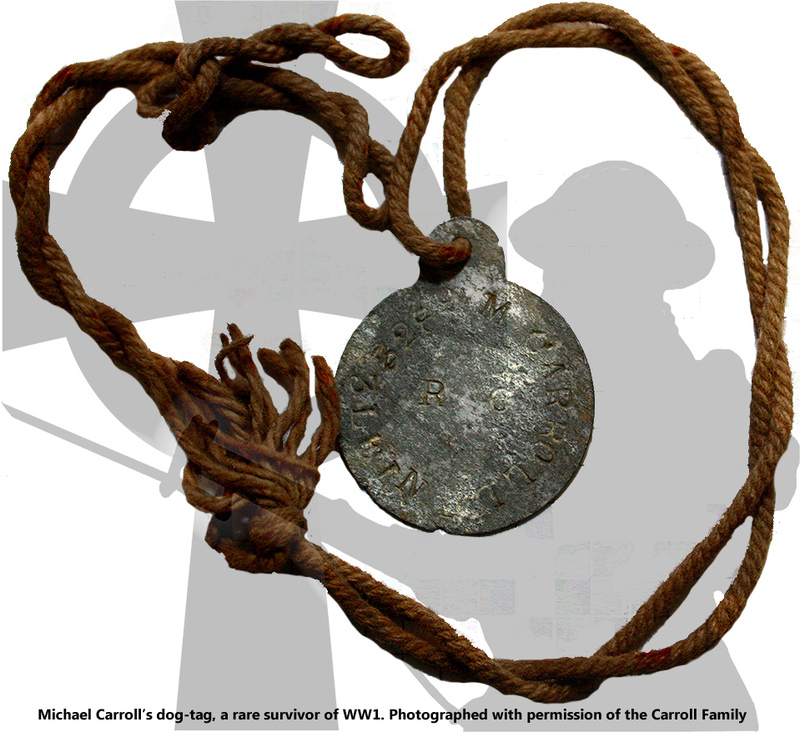 Unusually, a section of Michael's twin dog-tags were returned to his family in Carrickedmond, and they have them to this day; they very kindly allowed the committee to photograph and include them here. Michael's brother James was a Sergeant in the British Army and also participated in WW1.